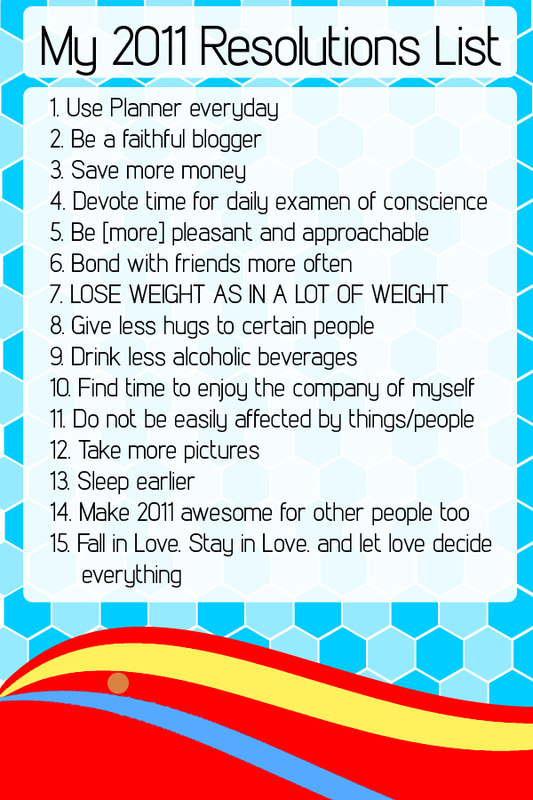 Last December 26, 2010, I asked my friends for suggestions for Resolutions for me this 2011. I am happy that my friends suggested stuff and I promise I will try my best to really keep these stuff in mind. First off, my 15 resolutions I set for myself. And now, I present you most of the resolutions suggested by my friends. No specific order. Have a lean body. Get abs if possible. Play basketball with guy blockmates. So those are some of the 50 resolutions my friends have given me. I will try my best to do all those and I will find a way to sort out contradicting suggestions. Sorry that I didn’t place all, some were personal and some are just not meant to be posted. Haha!